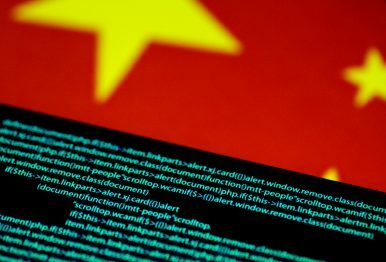 Ahead of China’s annual National Cyber Security Publicity (Propaganda) Week, the Cyberspace Administration of China’s Theoretical Studies Center Group published an article in Qiushi, the leading Chinese Communist Party (CCP) journal on theory, highlighting Xi Jinping’s strategic thinking on building China into a “powerful cyber nation” (or ‘cyber superpower,’ 网络强国). Their commentary (translated here) highlights core elements of China’s evolving national cyber strategy, which includes a focus on enhancing the country’s overall level of cyber security, particularly the protection of critical information infrastructure, and advancing indigenous innovation. In particular, this article clearly articulates the CCP’s perception of power and control in cyberspace as an imperative with existential stakes. The authors gravely declare, “If our Party cannot traverse the hurdle represented by the Internet, it cannot traverse the hurdle of remaining in power for the long term” (我们党过不了互联网这一关，就过不了长期执政这一关). Xi Jinping’s agenda to build China into a cyber power has consequently incorporated efforts to ensure regime stability and survival through enhancing the party’s capability to exercise uncontested control over and ideological influence within this new domain. Under the Xi administration, the party has redoubled its focus on “online public opinion work” as an integral element of its broader agenda for propaganda and ideological work, linking online and offline efforts. In this regard, the Chinese leadership is attempting to mitigate a range of risks, such as that of mass incidents, that might arise online or be amplified by the Internet, an issue of particular concern since the Arab Spring. The party’s approach to cybersecurity must be contextualized by its expansive concept of “state security” (国家安全) — which incorporates political security, homeland security, military security, economic security, cultural security, social security (i.e., CCP control and stability), and information security. Xi Jinping has declared, “without cyber security, there is no state security,” and cyberspace is considered an ideological battleground. Through controlling content and propagating “positive propaganda (宣传)” online, the party thus seeks to assert its ideological predominance in cyberspace as a core component of an extensive propaganda agenda. Indeed, the Cyberspace Administration of China has been closely linked to the propaganda system since its genesis, and its former director, Lu Wei, previously head of the Beijing Propaganda Department, consistently highlighted the criticality of public opinion work to state security and ideological security. During this year’s National Cyber Security Publicity Week, Liu Yunshan, Politburo Standing Committee member and head of of the Propaganda and Ideology Leading Small Group, called for the creation of a “favorable cyber environment” for the party’s “victory” in the upcoming 19th Party Congress. The implementation of China’s new Cyber Security Law and introduction of regulations to constrain anonymity reflect a broader effort to institutionalize control over cyberspace and information. Engaging in an “online public opinion struggle,” the CCP seeks to “correctly guide” public opinion with a focus on ensuring “unity and stability.” The party’s capacity to control and leverage information contributes to a broader agenda of “social management,” such as through the social credit system. For the CCP, the Internet can serve as a mechanism to monitor public sentiments and enable early warning of potential crises, while amplifying the dissemination of its own preferred “publicity,” such as news of achievements in economic development. In this regard, cyberspace has become an enabler of China’s shift towards “responsive authoritarianism,” which involves in some cases actively responding to grievances articulated online to preempt threats of collective action. In practice, to “guide” popular sentiments, the CCP is engaged in sophisticated, even automated censorship and pursuing “strategic distraction” through fabricating and posting an estimated 448 million social media comments each year. Through these efforts, the party seeks to create a “cleaner,” “positive cyber ecosystem” at a systemic level that is conducive to its interests and survival. Unsurprisingly, as Chinese interests expand, these efforts to assert the CCP’s “right to speak” or “narrative dominance” (话语权) within cyberspace has also started to extend to attempts to exercise influence at a global level. The Internet can serve as an instrument to “tell China’s stories well,” as Xi exhorted Chinese media outlets, enabling ideational engagement with overseas audiences. Investing extensively in expanding party media at a global level, the CCP has continued to expand foreign propaganda activities, including via online and social media. As this Qiushi commentary highlights, China also intends to exert greater influence over international Internet governance, continuing to advocate for consensus on China’s preferred positions, such as adherence to cyber sovereignty. While the Internet clearly has, in certain respects, changed China, the CCP is actively seeking to change the Internet through reshaping cyberspace domestically and advancing its agenda and stature as a cyber power at the global level. Elsa B. Kania is an Adjunct Fellow with the Technology and National Security Program at the Center for a New American Security, where she focuses on Chinese defense innovation and emerging technologies, particularly artificial intelligence. She is an independent analyst, consultant, and co-founder of the China Cyber and Intelligence Studies Institute (CCISI).